Next year 2019 there will be Local Elections -Istán Town Hall- and to the European Parliament as well. 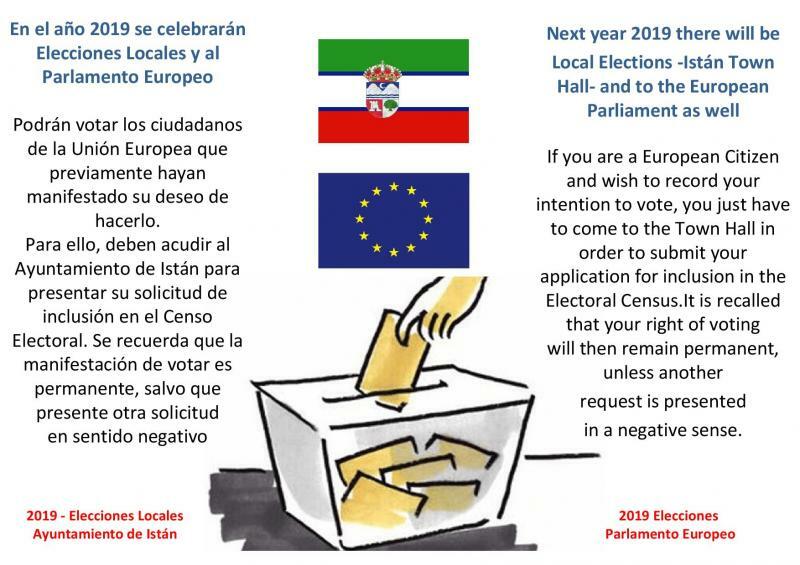 If you are a European Citizen and wish to record your intention to vote, you just have to come to the Town Hall in order to submit your application for inclusion in the Electoral Census. It is recalled that your right of voting will then remain permanent, unless another request is presented in a negative sense.